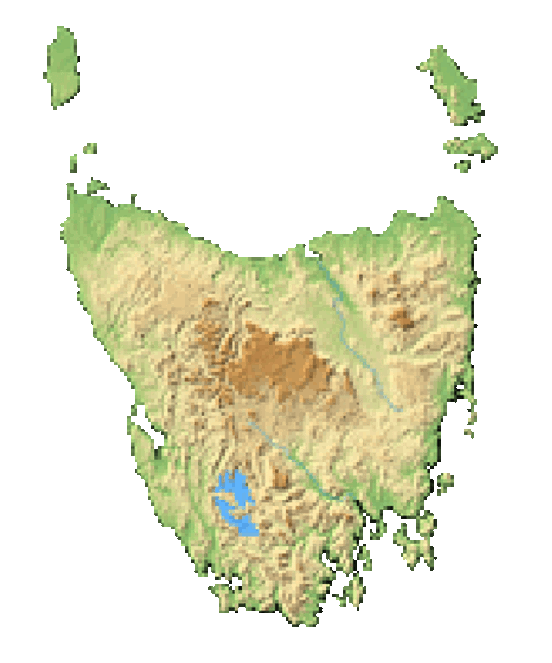 You’ve got to get from mainland Australia to Tasmania. You could fly, but, if you’re in Victoria, wouldn’t it appeal more to your sense of adventure to sail? A massive passenger ferry between Melbourne and Devonport, Spirit of Tasmania ticks not only the adventure box, but the convenience one too. 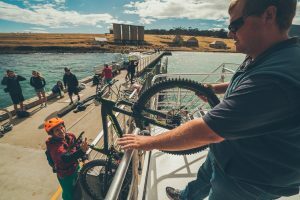 Why Choose the Spirit of Tasmania? Pack the car with the kids and the dog and simply drive aboard. You’ll have everything you need for your onward explorations either side of the Bass Strait and, what’s more, it’s more economical than the alternative, especially when you factor in car rental and so on. 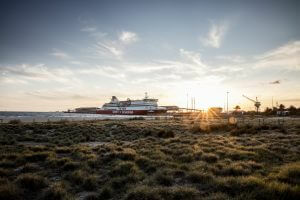 Operators TT-Line have been cruising across the Bass Strait since 1985, but it wasn’t until they brought two Finland-built ferries from Greece that Spirit of Tasmania was born. On 1 September, 2002, they set sail across Bass Strait for the first time. Venture out of Melbourne, the shoreline of Port Phillip Bay curving away behind you, through the narrow channel between Queenscliff and Sorrento and out into the Strait. 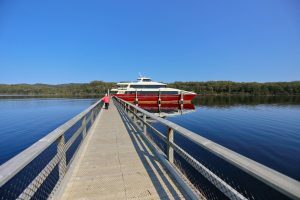 Catch an unparalleled sunrise or sunset (depending on whether you take the night- or daytime crossing) as you glide across those notorious waters, bound for Devonport and all the treasures of Tasmania. Your voyage takes between 9 and 11 hours. It’s worth factoring, though, that check-in starts 2.5 hours before departure. The capital of Victoria is famous for coffee, food, art and culture, with plenty more to see and do besides. Surrounded by stunning countryside, get out and explore the rugged cliffs of the Great Ocean Road, the red deserts to the northwest, and the lush green stretches of bush, mountains and pastures in between. Where the Mersey River meets Bass Strait, this northern Tasmanian city boasts beaches with sailing, kayaking and fishing, a historic lighthouse and a maritime museum, plus plenty of non-nautical points of interest. Wander among the beautiful local flora and fauna at the Tasmanian Arboretum or get out of town to explore some of the island’s wonderful wilderness including Cradle Mountain. Image thanks to Sean Scott. Aside from the dramatic ocean views, there’s plenty to keep you entertained during the crossing. Choose from two cinemas showing newly released movies, try your luck on the games machines in the arcade, snuggle up with a book in the reading room or plan your onward adventure in the Tourism Hub. Kids also have dedicated game zones and play areas, plus there's performers and entertainers. Image thanks to Tourism Australia & Graham Freeman. Hungry sailors descend on Tasmanian Market Kitchen for self-service local island fare, or just grab a simple snack from The Pantry. Drinks are on hand in the ship’s 3 bars. Sink into a cosy chair at elegant lounge, Bar 7; relax with a beer and your favourite TV shows in The Terrace Lounge Bar, or enjoy the views from Top Deck Lounge. Relax in a comfy recliner chair with ocean views to lull you into snooze-mode or choose from double and twin private cabins, opt for a 4-berth bolthole (ideal for families), or grab a bed in a shared cabin. Drive on and drive right off: simply follow the signs at the ferry port for check-in, inspection and parking. Stow your car or motorhome in the car park, or, for those travelling on two wheels, park your bicycle or motorbike, ready for the onward journey. Image thanks to Flow Mountain Bike. Day tripping or night cruising? Depending on your schedule, choose the crossing that best suits you. Embark in the evening for a sunset sail, a little dinner and perhaps a nightcap or a movie, before retiring to your cabin and waking up fresh in your destination. Alternatively, depart in the morning and enjoy a day at sea, making the most of all the entertainment on board. Booking online is simple and straightforward, but it’s important to be clear on the details: which departure time suits you, what vehicle you’ll be driving (and its make, model and registration), how many are in your party (including pets), and what sort of accommodation you’d like. 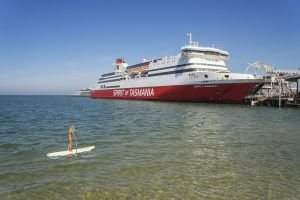 Spirit of Tasmania set the ail across Bass Strait for the first time in 2002.